If your future includes a move to Santa Paula, check out Meathead Movers! Our professionally trained student-athlete movers, moving concierge, and Princess Packers are prepared to get you safely moved into your new home. Want to escape the hustle and bustle of the big city? With its low traffic streets and its quaint and friendly atmosphere, Santa Paula is the ideal place in Ventura County for a quiet and relaxing life. With just under 30,000 residents, this quaint city is known for its small-town charm. Today, Santa Paula is best known as the “Citrus Capital of the World.” This title has been well earned thanks to the city’s focus on agricultural pursuits. Santa Paula grows a large number of oranges, lemons, and avocados. Historically, the city has played a large part in California’s petroleum industry, and the California Oil Museum can be found here. Santa Paula’s charming main street, which has a classical American ambiance, has made the area very popular with Hollywood. This main street has a wide range of local specialty shops, making it popular with local and tourists alike, and has served for the setting of many classic movie moments. If you are considering a move to the area, Meathead Movers is here to help. Our moving company specializes in local, long-distance, and commercial moves. We also provide reliable packing, storage, on-site relocations, and our distinctive moving concierge service, which connects you with local service providers to make the transition to a new place as seamless as possible. 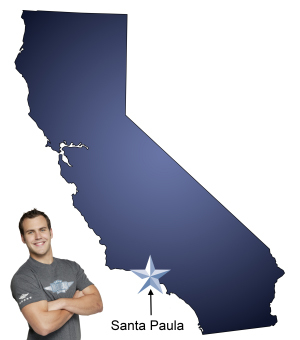 While there are many other Santa Paula movers, Meathead Movers clearly stands out above the rest. Meathead Movers makes a point to hire only the best by hiring clean-cut, respectable student athletes and providing them with top notch training at Meathead University. To prove that there is a difference with Meathead Movers, all Meathead employees jog while not carrying your items during a move. Additionally, Meathead Movers offers service seven days a week providing flexibility and commitment. With these noteworthy perks, Meathead Movers is clearly the best of all Santa Paula movers. For more information and a free moving quote, please contact Meathead Movers today. Moving to Santa Paula? Here are some helpful resources. View more Santa Paula resources. Very professional, prompt, courteous and hard-working. We have used Meathead twice and both times everything has gone smoothly. You do what you say, your customer service is top-notch, and we will use you again. Your student athletes are polite and we are just so impressed with how hard they work. It took so much stress out of our moving day having you guys there to do all the heavy lifting and packing of the truck. Definitely worth the money. We used a cheaper company once and it was a nightmare. You get what you pay for. This time we didn’t think twice about the cost since we knew it was worth it. Thank you!! Thank you for being so efficient and professional with your services. On time. Very professional, polite,courteous and caring about how they pack and move your belongings. I have used them several times before and will use them again. Prompt, Professional, Careful and Extremely Service Oriented!! My Moving Crew was Awesome!!! This is my third move using Meathead Movers. I cannot Thank You enough for an Always Positive moving experience!!! I will Definitely be Recommending Meathead Movers!!! We moved to the storage in Jan.2018 and then moved to our new home in Sept.2018. We were very pleased with the movers and help they gave us. We are two seniors with too much stuff to move. They were pleasant and helpful and efficient in both moves. Richard and the crew were terrific! Personable, efficient and great to have around. Every piece of furniture was wrapped with care. Thanks for making our day easier!! We used your services once and then decided we need more of your help so we were a repeat customers within weeks. Your people are efficient and pleasant to have in our home.